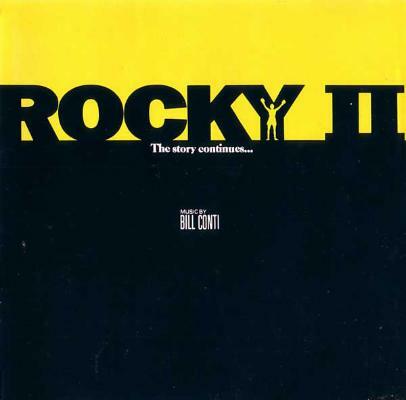 This is the soundtrack to Rocky II. I got the album as a gift six years ago, but the song in the film when he's running up the stairs is what made me choose this. I grew up on Sylvester Stallone, my mum used to love him, he was my guy. When you were watching the films as a kid, you can only listen to the music when the film is on, and you subconsciously want to hear it again. So, when I hear the soundtrack now, it instantly takes me back to my childhood; I try to picture what I was doing back then listening to the music, probably in the mirror posing and wanting to be a boxer! I had one boxing lesson off the strength of Rocky but after one punch to the face, I decided it wasn't for me.